Contracted to work with Google’s Events & Experiences team to produce this 23,000 person conference, highlighting keynote announcements, B2B demos and event receptions for Google Cloud. Served as the producer and venue manager for The Palace Hotel, directing and overseeing 11 programs, including breakout demos, a B2B meeting center, influencer panels and evening receptions. Consulted on the branding, experience design and programming for The Battery’s inaugural conference, Sparked. Part conference. Part retreat. Expect the unexpected. Executive producer for the inaugural thought leader summit, Generators Summit, overseeing all content development, speaker outreach and management, creative assets, venue design, staffing and production. Designed and produced a private product launch and social gathering to celebrate issuu's new mobile platform. Co-launched the music and storytelling event series, Listening Sessions, at Yerba Buena Center for the Arts. Spearheaded the event production, promotion and set design. Collaborated on building the Listening Sessions brand standards, design assets, website, social media channels and email marketing software. Designed and produced a three-day workshop, panel series, dinner party and community gathering for issuu's independent art and fashion publishers. Learn about the event and issuu's Generators here. Co-launched Farm-to-Fork's brunch and lecture series, Beneath the Surface. Our goal was to facilitate a memorable brunch experience -- one that builds community, provides education around the food we consume, and empowers us to be better consumers. 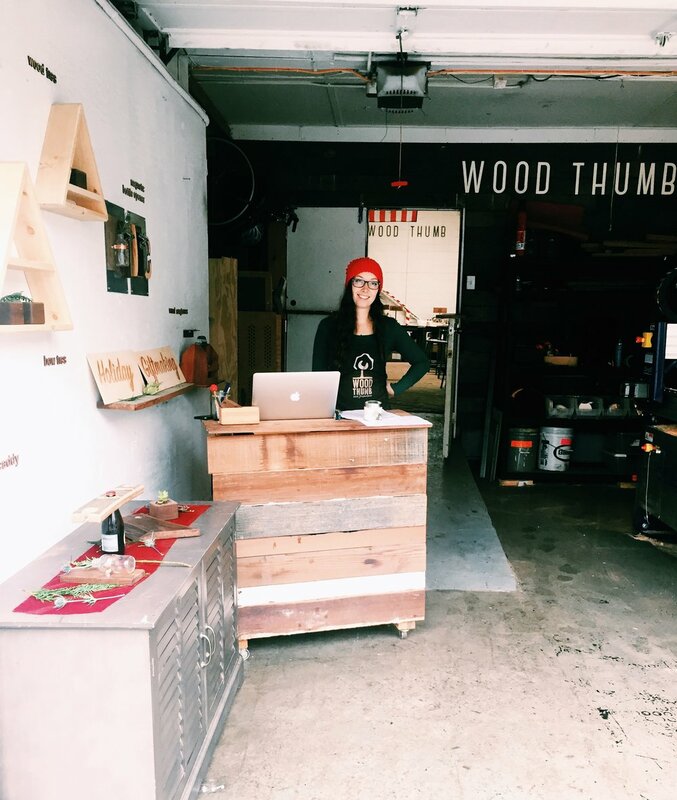 Launched the quarterly woodworking event series, DIY Gift Making, to build brand awareness, drive sales and garner community around the SOMA woodworking studio. Partnered with the Omaha-based creative agency, The New BLK, to design and produce a community gathering showcasing up and coming music in Nebraska while spreading the word about hosting on Airbnb. Read about the night on Omahype.